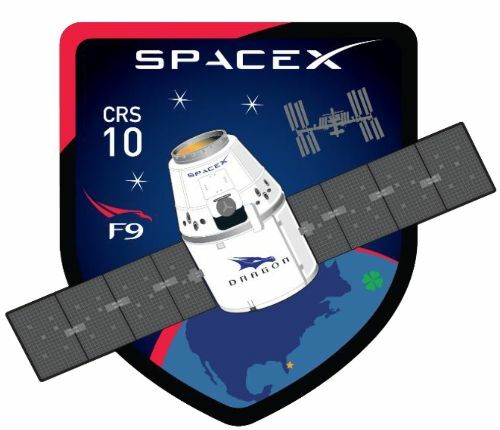 Dragon SpX-10 is SpaceX’s tenth operational Dragon mission to the International Space Station under NASA’s Commercial Resupply Services Program. 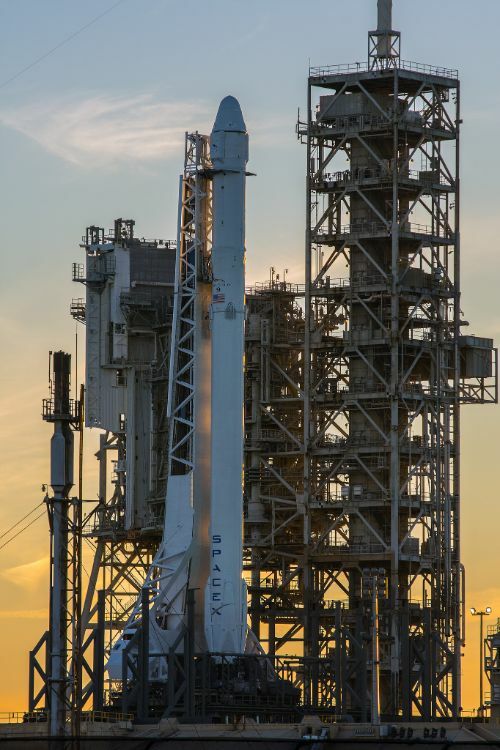 Lifting off in February 2017, the mission is the first since July 2016, coming after a lengthy return to flight effort by the California-based company following the Falcon 9 testing accident in September. Dragon enjoys a special role within the Space Station’s visiting vehicle fleet as the only craft capable of returning meaningful cargo downmass to the ground (aside from the Russian Soyuz that can carry a few dozen Kilograms of cargo when flying with a full crew of three). The SpX-10 mission sets out to deliver 2,490 Kilograms of cargo to the Space Station, comprising the typical mix of science equipment, crew supplies and maintenance hardware, plus nearly one metric ton of external payloads facilitated in the spacecraft’s Trunk Section. 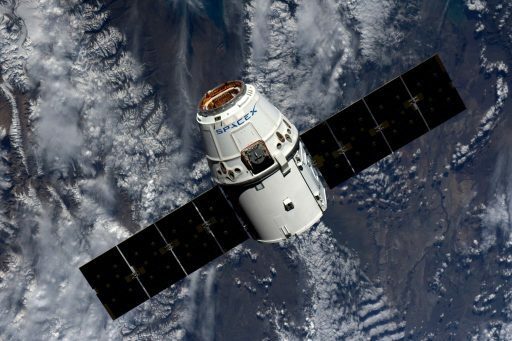 At the end of its mission, the Dragon will return to Earth with over one metric ton of science experiments and hardware. SAGE-III is the third Stratospheric Aerosol and Gas Experiment built under NASA’s Earth Observing Program to collect long-term data on atmospheric composition, profiling trace gases, ozone and aerosols and measuring temperature profiles in the stratosphere. These measurements are collected by a spectrometric instrument covering a broad wavelength region and utilizing solar occultation and limb scanning. 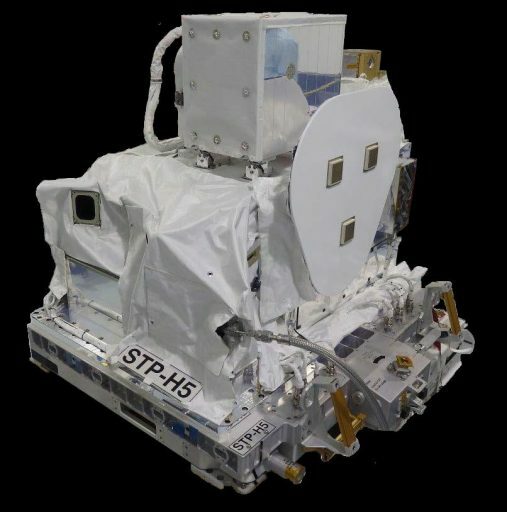 Observing the atmosphere from the Space Station enables SAGE-III to deliver continuous, near-global measurements over an extended mission duration to deliver key measurements for climate change studies and atmosphere chemistry. 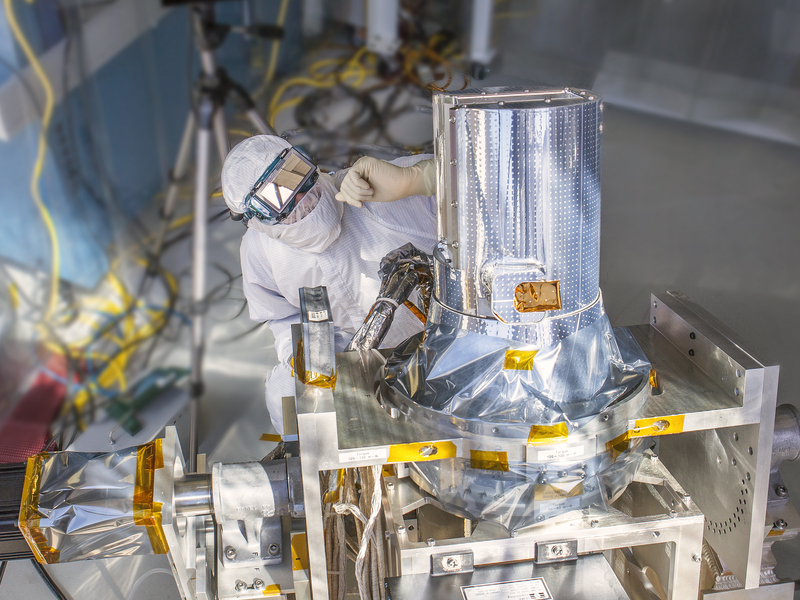 Critical measurements provided by SAGE include the vertical distribution of aerosols from the upper troposphere through the stratosphere and ozone measurements from the troposphere into the mesosphere. Important trace gases measured by SAGE include water vapor and nitrogen dioxide both of which play a major role in radiative and chemical processes driving Earth’s energy cycle. The Space Test Program – Houston 5 payload belongs to a NASA/DoD program dedicated to flying small payloads loaded with different technical and other demonstrations to space to further the development, evaluation and advancement of new technologies for the future of spaceflight. 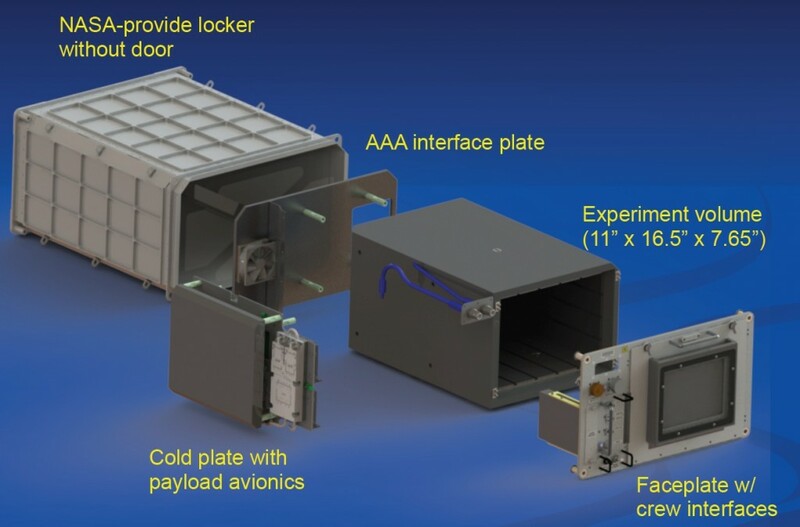 A number of STP payloads have already been flown in the past including Department of Defense, university and NASA experiments. Dragon SpX-10 is the fourth mission to carry ‘Mousetronauts’ to the International Space Station following a proof-of-concept rodent mission on SpX-4 and two rodent science flights on SpX-6 and 8 that looked at antibody response in space, space-induced rise in intracranial pressure and a method for prevention of sekeletal muscle atrophy and weakness. 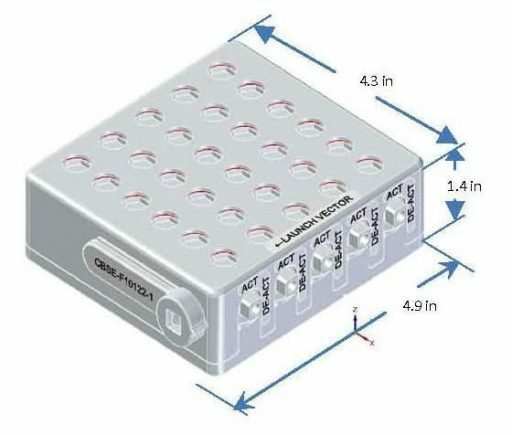 The Research is conducted using the Rodent Habitat Hardware that is described in detail here. Rodent Research 4 is known as ‘Tissue Regeneration-Bone Defect’ and looks at tissue and bone regeneration in vertebrates and how the microgravity environment impacts the process. Lower ranked vertebrates such as salamanders can regrow lost limbs at a wound site, an ability also possessed by embryos of higher class vertebrates including humans that is lost over the course of maturity. Lower gravity provides some beneficial effects (such as cell proliferation and propagation) on regenerative processes and detailed study of the underlying biological processes seen in healing tissues is warranted in the unique microgravity environment of space. Space-based studies also provide an opportunity to assess the therapeutic success of agents designed to induce tissue regeneration. For Rodent Research 4, the mice are prepared by conducting surgery that induces an artificial defect in their femurs which is filled with or without an osetoinductive agent designed to have a positive effect on bone regeneration. The healing efficacy is monitored in comparative studies on Earth and aboard ISS. A total of 40 mice are part of the study – ten will be treated with a novel bioabsorbable scaffold imbued with thrombopoietin (TPO), ten will receive bioabsorbable scaffold imbued with bone morphogenic protein-2 (BMP-2), and the last ten act as a control group and receive scaffold imbued with saline. A fourth group of ten mice acts as a full control and does not undergo pre-flight surgery. Five mice of each group are flown aboard the Rodent Habitat while the others live in similar conditions as part of the ground-based experiment group. Rodent Research is not designed to return live mice to the ground, requiring euthanasia and dissection to be performed in orbit. Euthanasia is achieved through injection of ketamine/xylazine followed by exsanguination by cardiac puncture. For Rodent Research 4, the operated femur and the un-operated femur will be extracted from the mice and fixed in 10% formalin and put in cold stowage. Blood and whole organs will be harvested as well and frozen until return to the ground. The same schedule and procedure will be followed for the ground-based experiment group with the mice recovering from surgery for about 30 to 45 days. Upon return to the ground, the specimens will undergo histopathology studies to obtain detailed information on bone characteristics. Pan-omics investigations, involving the blood and organs of the mice, will be conducted to identify biological markers that may point to microgravity-induced mediation of tissue regeneration. The PCG-5 study, going by the full name of “Microgravity Growth of Crystalline Monoclonal Antibodies for Pharmaceutical Applications” aims to crystallize a monoclonal antibody in the unique microgravity of ISS that enables ultra high-quality crystals to be produced. Monoclonal antibodies are a primary focus of medical research given their importance for fighting a wide range of diseases including cancer. The human body generates a variety of cells and proteins, including monoclonal antibodies to fight multiple diseases and pathogens. The crystallization of these proteins allows pharmaceutical researchers to get insight into properties and mechanisms of protein growth using antibodies that are currently undergoing clinical trials in the treatment of several diseases. PCG-5 leverages the unique microgravity environment offered by ISS for structure-based drug design (SBDD), using protein crystallography to inform the design of more effective and selective drugs. Growing Protein crystals in space yields larger, more uniform and pristine crystals than those grown on Earth due to the absence of a number of issues such as sedimentation and shear forces, preventing the growth of large molecules. To date, crystalline suspensions of monoclonal antibodies grown on Earth failed to reach the quality needed for full modeling of their chemical structure through X-ray crystallography. 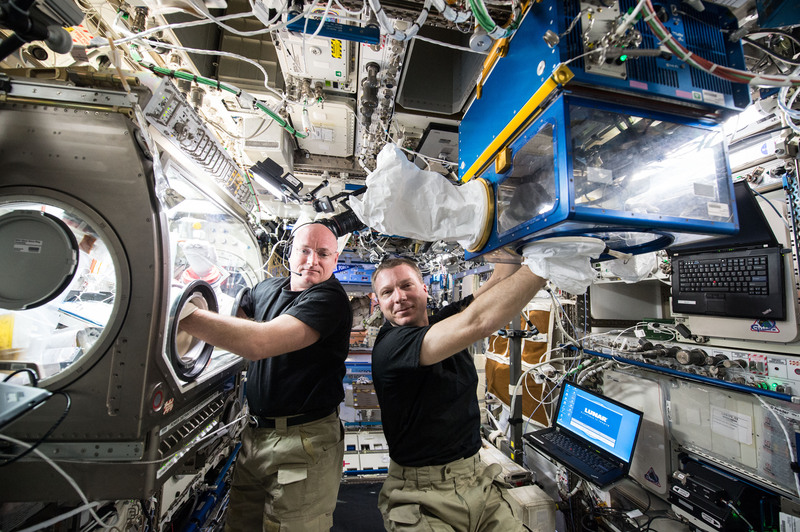 PCG-5 hopes to grow large, pure crystals on ISS and return them to Earth to undergo a number of analytical processes. PCG-5 is launched in cold bags to prevent crystals from forming while still en-route to the Space Station. Activation is completed in orbit by the crew within six days of launch by turning the sample cells clockwise by 90° which allows the sample to enter the precipitant reservoir. 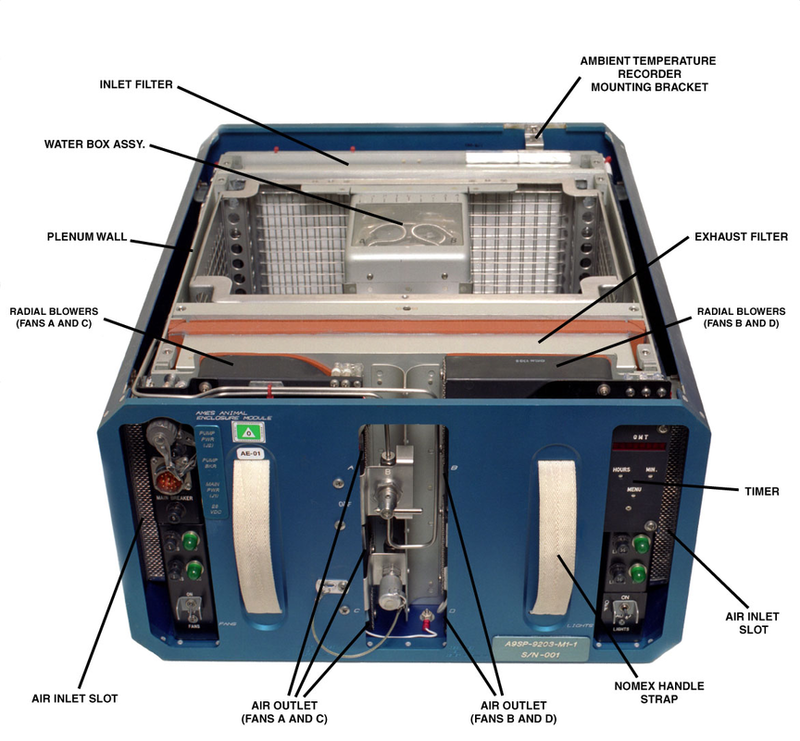 The experiment containers are then kept placed into a Merlin Incubator that slowly ramps the temperature from 4°C to 30°C over 48 hours and then maintains 30°C for a period of 16 days of crystal growth before deactivation and stowage in Dragon. 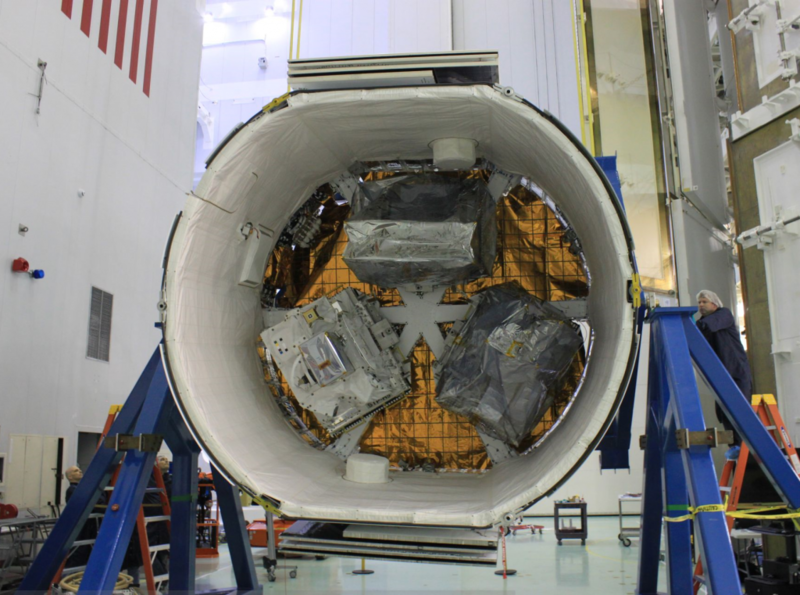 PCG-5 is among the expedited return cargo to undergo X-Ray crystallography once back on the ground. Stem cells offer great promise in a wide area of regenerative medicine, however, to be used in medical therapies, stem cells have to be expanded. Currently, there is no efficient way for stem cell expansion but the process may be accelerated in the microgravity environment. The Microgravity Expanded Stem Cells experiment will cultivate human stem cells aboard ISS for use in clinical trials to evaluate their efficiency in treating disease. Three different types of stem cells will be expanded as part of the experiment: mesenchymal stem cells (MSC), hematopoietic stem cells (HSC) and leukemia cancer stem cells. 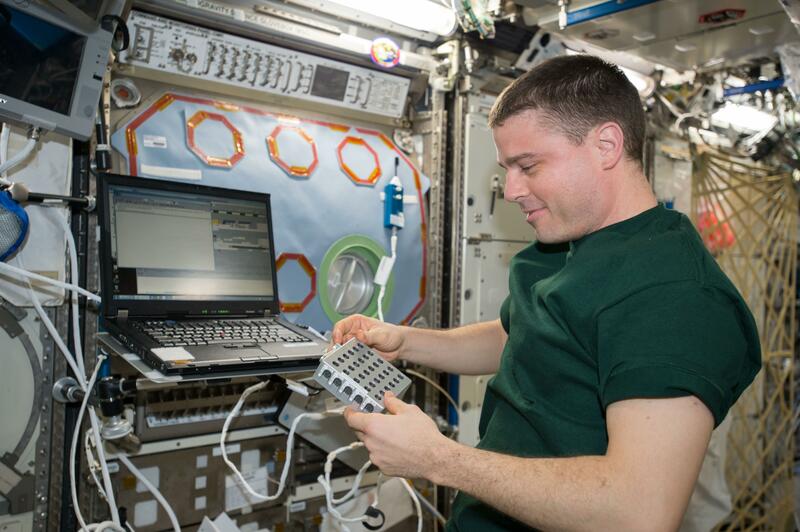 If the experiment determines that expansion is accelerated in microgravity, a second question will be whether the ISS environment is suitable for the production of clinical-grade stem cells. The ultimate goal is to establish a space-based bioreactor for the production of clinical-grade stem cells at meaningful quantities. This is one of the first studies to use the Space Automated Bioproduct Lab, a new space life science facility to be deployed on the International Space Station for a wide variety of research ranging from fundamental, applied and commercial space life sciences research to education-based investigations. The Space Automated Bioproduct Lab is an incubator facility to host cell culture and other biological experiments, supporting bacteria, yeast, algae, fungi, viruses, animal cells and tissues and small plant and animal organisms. LMM Biophysics 1, going by the full name “Effect of Macromolecular Transport on Microgravity Protein Crystallization” aims to understand why proteins crystallized in the absence of gravity achieve a much higher quality than those grown on Earth. For that, the study will employ the Light Microscopy Module to watch the growth of individual protein crystals. Proteins are of great importance for medical research and their chemical composition is studied by means of X-ray crystallography – an analytical technique that can reveal the complete three-dimensional structure of a protein, but for that, pristine crystals are required. Crystallizing proteins with large molecular mass has proven extremely difficult if not impossible on the ground due to the influence of gravity. In microgravity, pure crystals suitable for X-ray crystallography and medical application can be produced. The LMM Biophysics 1 study will involve a number of aqueous proteins including membrane and virus proteins as well as other candidate proteins covering a broad molecular weight range. Membrane proteins in particular have been identified to be of great interest because membranes are the sites of many critical biochemical processes. 1) in the buoyancy-free, diffusion-dominated environment present in microgravity, the rate of protein transport is much slower, causing crystals to grow at a slower rate, and 2) a predisposition of growing crystals to incorporate monomers versus higher aggregates (dimers, trimers, etc) due to the differences in diffusion rates. 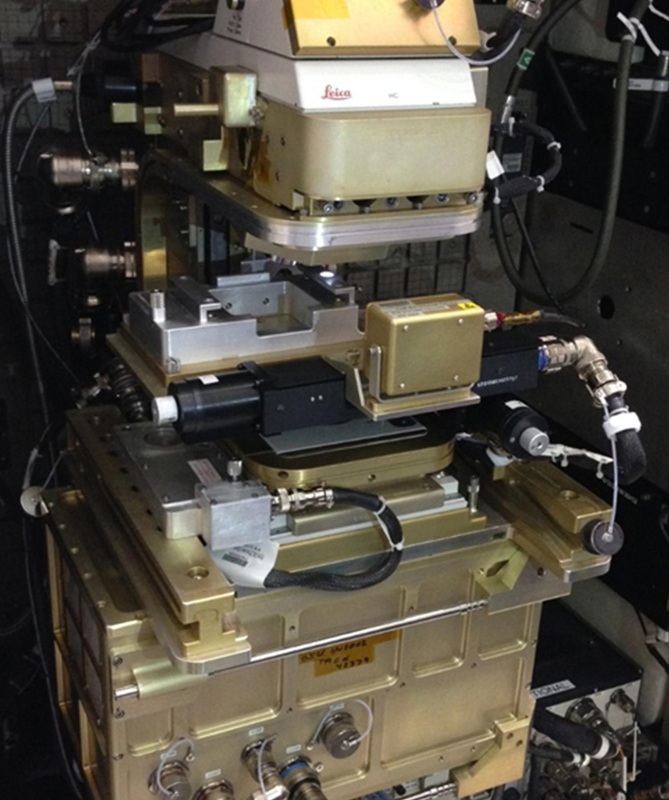 To validate these theories, the Station’s Light Microscopy Module will be used to observe several days of protein crystal growth for each of the selected candidate proteins. Specific goals of LMM Biophysics 1 are to estimate the magnitude of aggregate incorporation in space and Earth-grown proteins, uncovering whether simple monomers are favored in the diffusion dominated environment in space. Secondly, LMM Biophysics 1 aims to compare protein growth rates on Earth and in space, collecting a time series of images over a five-day period to determine the growth rate for each candidate protein. The LMM Biophysics 3 experiments operates along the same lines as it also deals with the difference in protein crystal quality. 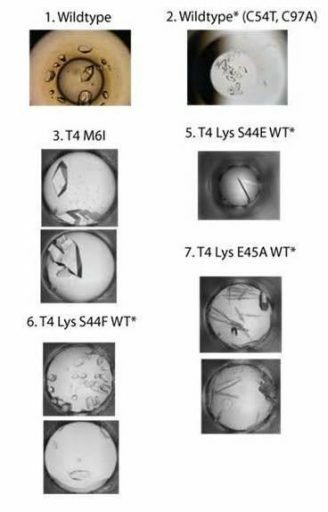 Specifically, this study will use T4 lysozyme to discern which types of crystals benefit from growth in microgravity and where Earth’s gravity has no negative effect on crystal formation. 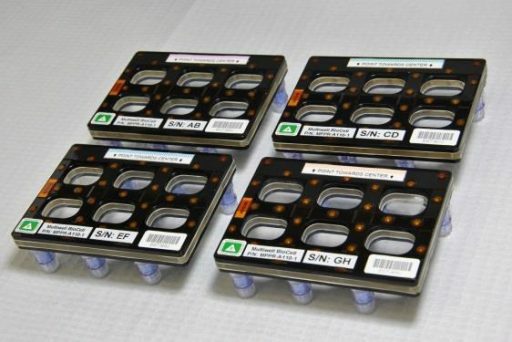 The Nanobiosym Genes Study evaluates a commercially available device to identify bacterial mutations in space. The X-Prize winning device enables the real time detection of any disease that has a genetic fingerprint at the point of care. This study will analyze how model organisms evolve in the space environment: A pair of bacterial strains of Staphylococcus aureus will be exposed to microgravity to accelerate their growth rate and induce mutations to help in the development of models predicting antibiotic-resistant pathogen mutations. Improving pathogen mutation models will lead to better prediction of drug resistance and support the development of better medicines against resistant strains.